Work-life balance means something a little different for each of us. But the goal we are all trying to achieve is similar; find a balance between our job, our personal lives, and our health. We want to find happiness through a successful career and a healthy lifestyle. The balance between career and life is a little like the yin and yang of our daily lives. In today’s fast-paced work environment, this balance can seem like an impossible feat. Technology has made us accessible around the clock, intruding on our personal time at home. Our drive to excel incentivizes us to work longer hours. In fact, It is estimated that 94% of working professionals work more than 50 hours per week. Experts agree: the compounding stress from the never-ending workday is damaging. It can hurt relationships, health, and overall happiness. We need to find that place in the middle, a balance between productive, happy, and healthy. As we push ourselves to “get it all done” in the office and at home, it’s easy to forget that as we increase our stress levels, our productivity plummets. Stress can zap our concentration, make us irritable or depressed, and harm our personal and professional relationships. Stress can also weaken our immune system and make us more likely to get colds, backaches, or even heart disease. A certain amount of stress can actually be helpful. It can push us to perform at higher levels and achieve things we didn’t think possible. The challenge is finding a balance between peak performance and being healthy and happy. The benefits go beyond health and mental stability. When we find this balance, we take fewer sick days and are more likely to stay with our jobs. A good work-life balance helps us to be more successful in the various aspects of our lives. 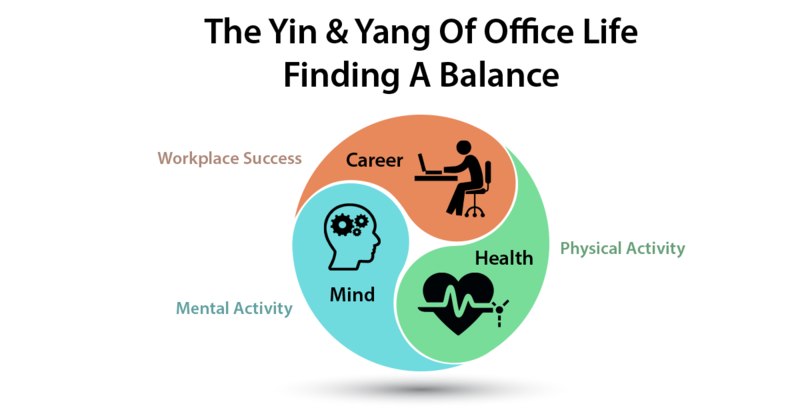 To find this yin and yang of our work and life, we need to look at our careers, mental challenges, and physical activity. The three components impact each other and are all part of the same work-life equation. If one is out of balance, it has a negative impact on the other parts. You can’t simply add a workout to your already hectic schedule and assume the extra physical activity will balance out the stress. That is like trying to add hours to the day. It can’t be done. Balance requires the appropriate amount of emphasis on all parts of your life. Focusing too much on one area, generally means you neglect the others. For example, reading and studying more will not get you in better shape. Likewise, an increase in physical activity will not help you learn and grow mentally. The trick is finding the right combination of work, physical, and mental activities. 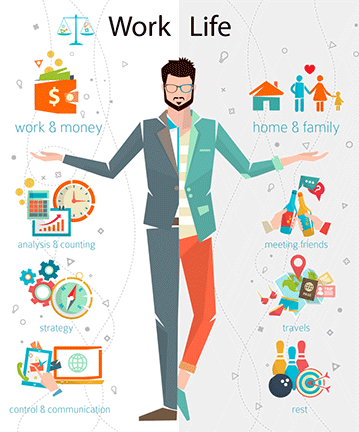 Here are 8 reasons to find the Yin and Yang of work-life balance. If you want to find the work-life balance, and not everyone does, you need to challenge yourself to include a variety of activities, both mental and physical or both personal and professional. If you want to push yourself mentally, you need to keep learning and exploring. Don’t focus solely on learning more about business or complicated subjects. Have some fun. Read an entertaining book or listen to a new type of music. Without a little fun, we will quickly stop working on mental growth. Including more physical activity in your life requires a little fun as well. If you set a goal to train for a marathon, but you don’t include a few enjoyable physical activities in the process, you will quickly get burned out and quit. Make it both fun and challenging. Set goals that include friends. You are more likely to continue with a physical challenge if you include others to help you along the way. Finding the Office Efficiency Yin and Yang. We can push ourselves as individuals, but our work culture needs to promote a sense of balance as well. Finding balance in the workplace involves developing processes that promote efficiency while reducing stress. According to the Centers for Disease Control and Prevention, 25 percent of all employees view their job as the top stressor facing them. Developing efficient processes helps reduce stress by minimizing human error and taking the pressure off for supervisors and micromanagers. A common office frustration is when an important document cannot be located quickly. A lot of time is wasted while searching for such files. Focusing on processes that improve efficiency while removing a point of stress will improve your work culture. Technology has completely changed how most people view office culture. Technology has increased collaboration and removed the barriers to communication between employee and supervisor. Technology made it easier to work remotely, manage tasks, track progress, and share your organization’s important files. But technology can also negatively influence our work-life balance. The flexible workspace quickly turns into an “always on” environment where employers expect employees to respond to emails and resolve issues during non-work hours. Implementing technology for the sake of implementing technology will not improve your efficiency or work-life culture. 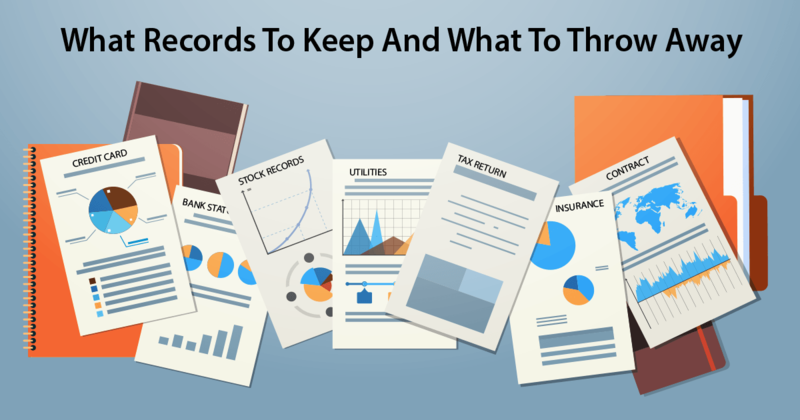 Have you and your team been trying to move to a completely paperless office? Have you asked why? Paperless is the wrong goal. 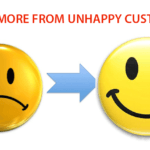 Improved efficiency is a better goal. You don’t want to move your paper mess to a digital mess. Finding a balance between paper and digital files can improve efficiency and help you find the balance needed in a positive office culture. Paper is easy to use. You don’t need to turn on your computer, pull out your phone, or access the internet. Paper is more personal. Send someone a hand-written card or letter instead of an email. Which one feels like they put more effort and care into the message? I can doodle, draw, and think out of the box on paper. I can let my mind be creative, without being limited by the functionality of a note app. Finding balance in your work life means putting the right amount of emphasis in multiple areas. If we focus too much on one area of our office culture, we neglect the overall balance between efficiency and enjoyment. If we don’t set aside a little time for each part of our lives, we are asking for an increase in our stress levels. The Yin and Yang of office life are all about finding the right combination of the things that are important to our lives.